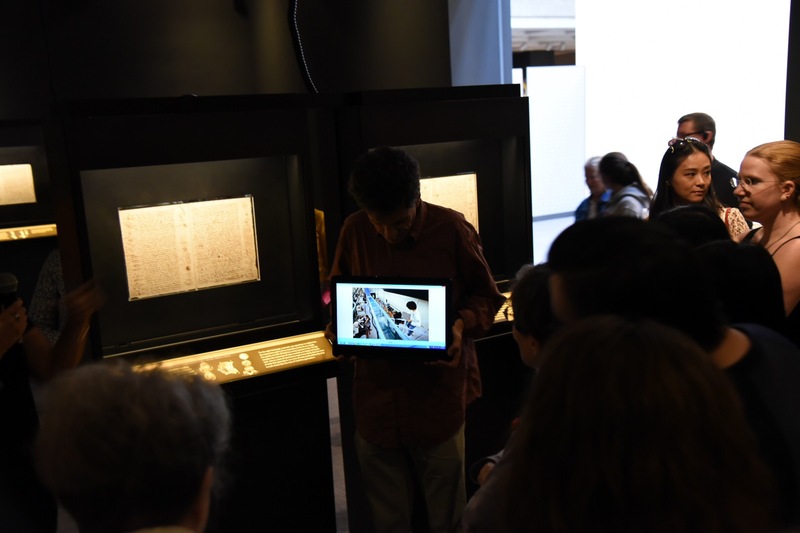 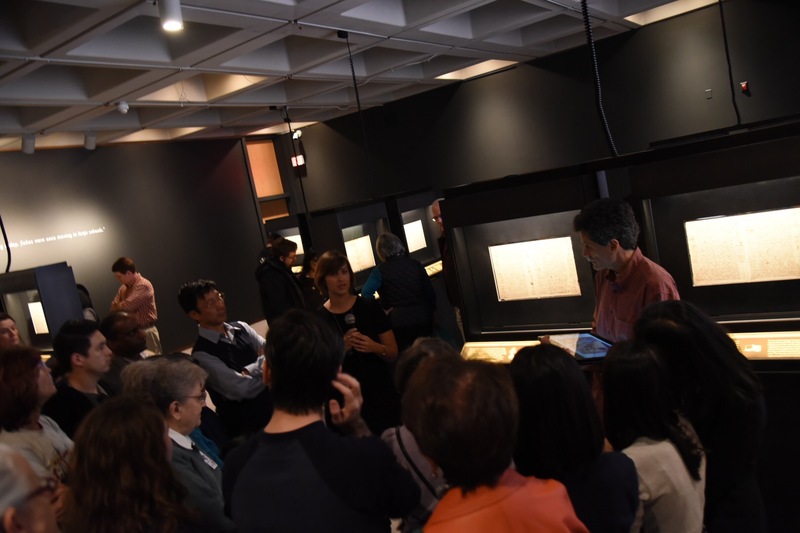 Professor Roberto Camassa and graduate student Francesca Bernardi combined their fluid dynamics expertise and fluency in Italian to speak this past weekend at a special exhibit at the North Carolina Museum of Art on Leonardo da Vinci’s Codex Leicester and the Creative Mind. 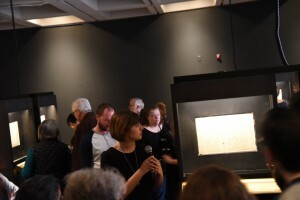 Reporting on the contents of the respective selected pages, with the original pages from the notebook shown behind them in glass, Roberto and Francesa commented on the concepts therein. Congratulations to Roberto and Francesca for their intellectually exciting experience.